This luxurious Labuan Sait, Pecatu villa is for sale through Siti Purba from Harcourts Purba. Sunset views from this magnificent property in Labuan Sait, Pecatu. Set to one side of the garden, this delightful and cozy suite offers privacy as well as stunning views. Views from the spa and Jacuzzi. Wonderful panoramic vistas over the pool and gardens to the ocean beyond. Set on 3,300 square metres of land and surrounded by lush tropical gardens. 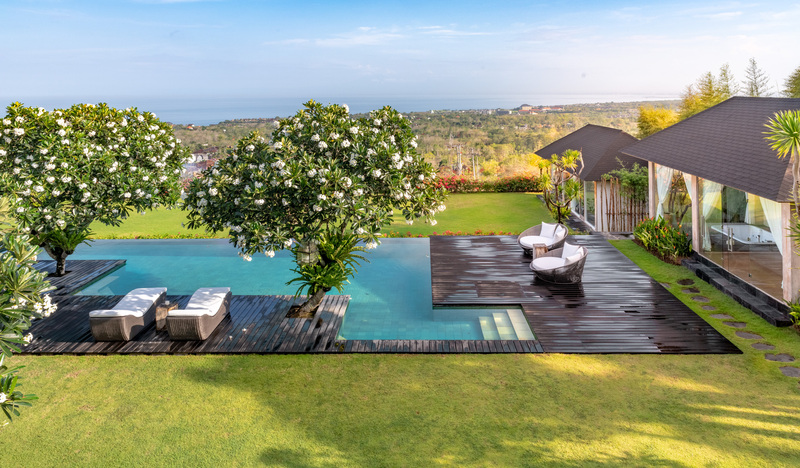 This fully-furnished, contemporary-colonial styled villa has recently been completely renovated and extended and is blessed with ocean views overlooking Jimbaran Bay and the West Coast of Bali. "The teak-floored terrace at the front of the villa offers outdoor dining for eight and is furnished with antique benches," says Siti Purba from Harcourts Purba. The property features tropical gardens and four double suites, three of which are in the main house and the fourth is in a separate guest lodge. Each air-conditioned bedroom has a king-sized bed with a muslin canopy, and an ensuite bathroom. Both the large marble-floored living room and the huge dining room (with table for eight) have ceiling-to-floor windows and French doors overlooking the garden and ocean. Facilities include an infinity-edge swimming pool overlooking the ocean and garden, surrounded by a large ulin wood deck with sun-loungers, sofa and armchairs and parasols, as well as a BBQ area, bordered by shady frangipani trees. An air-conditioned, west-facing spa is fitted with a jacuzzi and massage bed, and an air-conditioned gym is wired for TV and sound. A private air-conditioned office, located next to the gym, also faces west with sunset views over the garden and ocean. There is also staff accommodation with two bedrooms, plus storerooms and a garage for two cars. 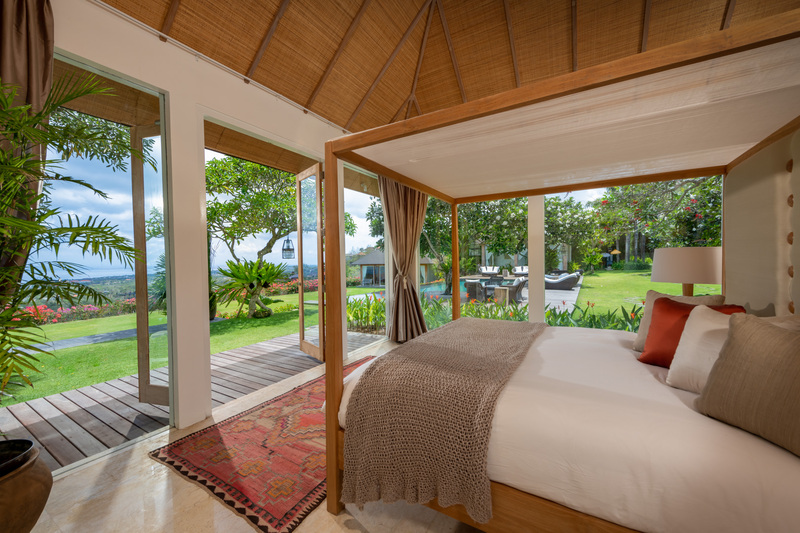 Siti Purba told WILLIAMS MEDIA "this is a business investment for the higher end holiday rental market." For more information including price information and additional photos visit the Harcourts Purba website. To arrange a private inspection or to enquire about the property, phone or email Siti Purba from Harcourts Purba via the contact details listed below.